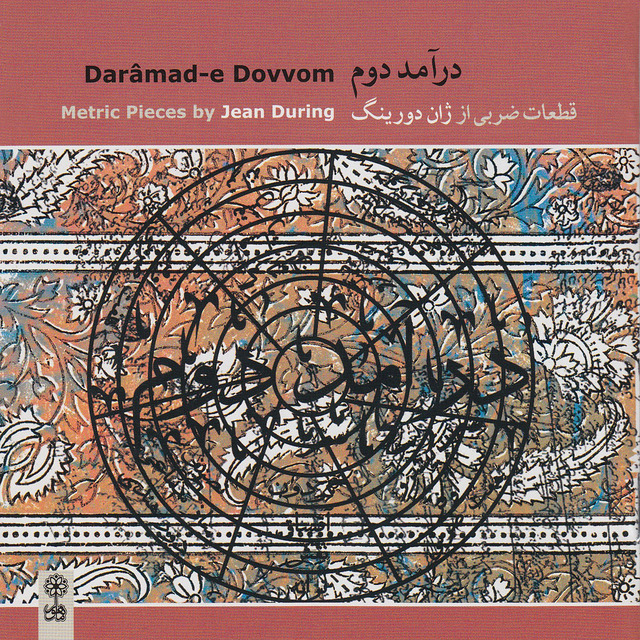 he production of this double-CD of Jean During’s compositions in ancient Persian and Inner-Asian (Tajikistan) modes, with the participation of Iranian and Tajik musicians, was conducted in pursuance of his previous work with Cultures France in 2008. During’s initiative is intended to confirm the potential universality of Persian classical music which, up until the end of the Safavid dynasty, had a vast international repercussion from Istanbul to Delhi. Nowadays it is common to compose freely and without clear reference to conventional standards (gush, âvâz, osul), or to the twelve classical Persian modes (dastgah and âvâz). The pieces collected on the album do not belong to this category but are faithful to traditional scales, forms and styles, except for one detail: the use of rhythmic cycles which do not exist anymore in Persian music. This collection has a clear genesis: an Uzbek Ostaad once remarked ‘any melody is born from a previous melody’ – each piece presented in this collection can claim a relationship to historic models, constraints (rhythmic, metric, poetic and modal) as well as figures and styles. The production of this CD is indebted to Mr Mohammad Musavi, Director of the Mahoor Institute of Culture and Art and the Soudavar Memorial Foundation, which marked its tenth anniversary with the sponsorship of this unique project. Jean During (born 1947) is an ethnomusicologist specialising in the music of Central Asia, especially of Azerbaijan, Iran, Uzbekistan and Tajikistan.